I think the greatest environmental disaster in Brazilian history was staged by the international bankers & their loyalists in the Brazilian government. 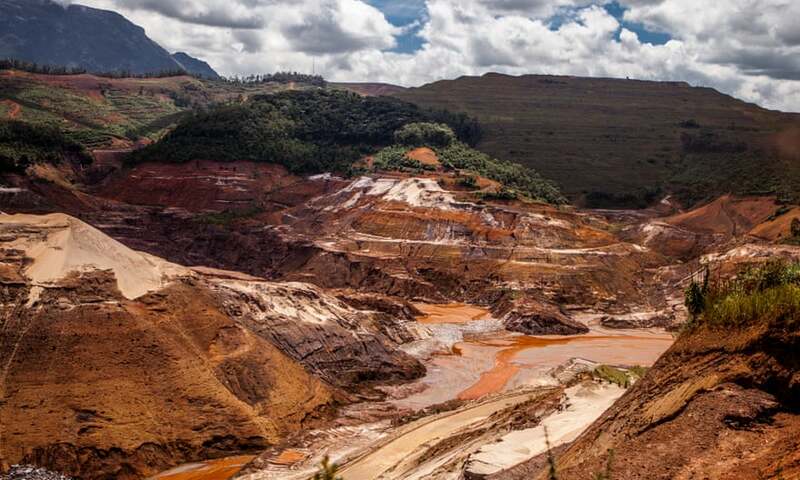 On November 05, 2015 the Fundão Tailings Dam in Mariana, Minas Gerais, Brazil, fractured, releasing 15.8 billion gallons of poisonous sludge into the 525-mile-long Rio Doce (Sweet River). 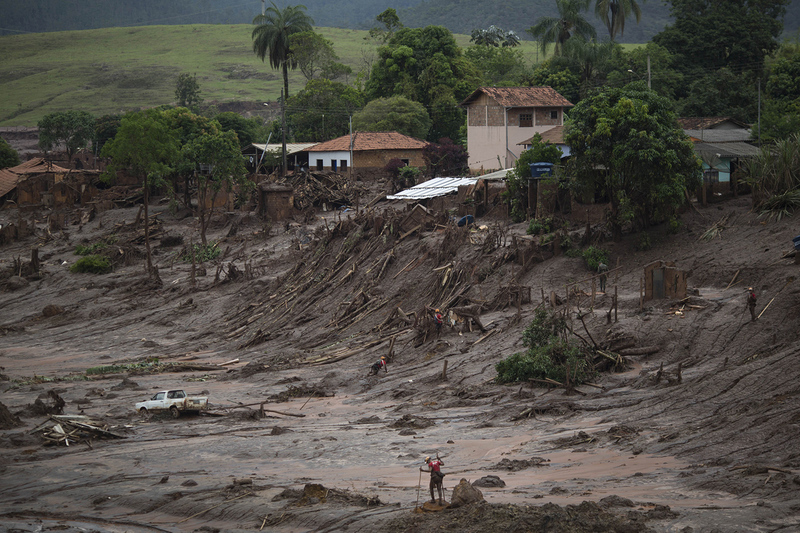 A tidal wave of poison engulfed the states of Espírito Santo & Minas Gerais. Homes were flattened. Farmland, livestock, aquatic life, & drinking water along the basin were polluted with arsenic & mercury. 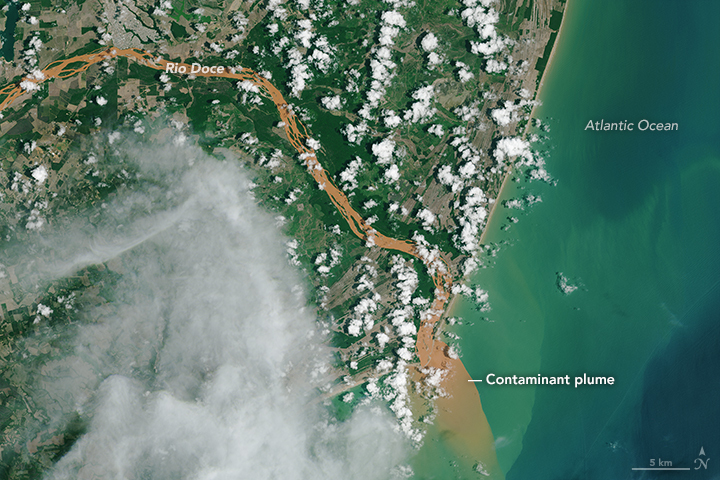 The sea of toxic mud left a path of destruction as it traveled down the Rio Doce for two & a half weeks, until it emptied into the Atlantic Ocean. The strike immediately resulted in 19 deaths & 1,200 displacements. However, the Rio Doce Basin is home to 3.2 million people. This river was the lifeline for indigenous people living in the basin. Even communities hundreds of miles away from ground-zero were affected. 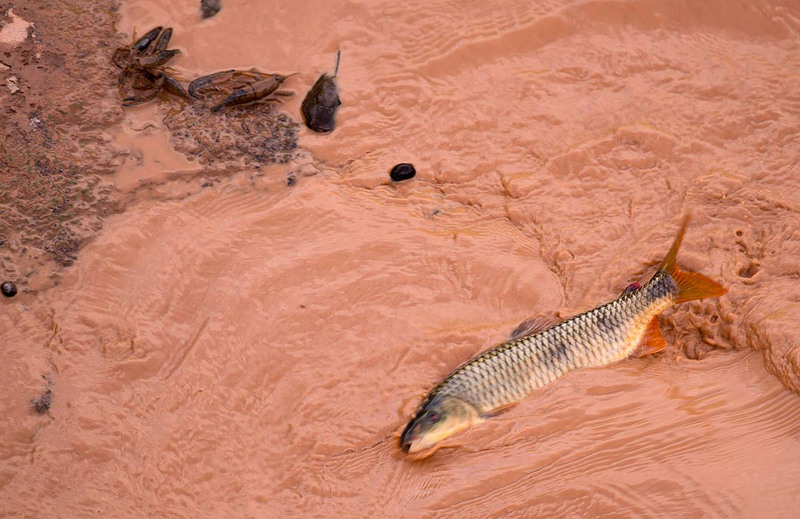 Agência Brasil reported in December 2017: "The water in the Doce River basin is not fit for drinking, fishing, irrigation, or food production... The incident destroyed the native vegetation and polluted all of the basin." 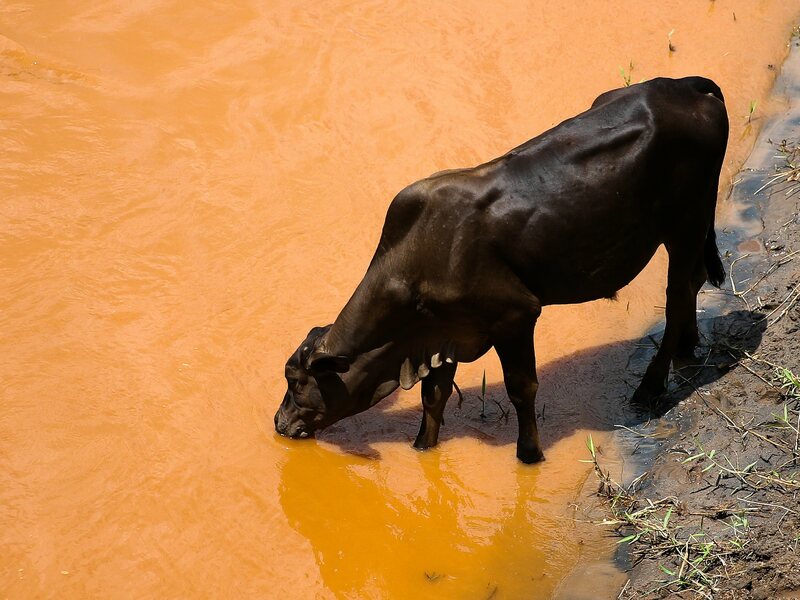 Mercury & arsenic are food-chain disrupting carcinogens, that persist in the environment, contaminating all lifeforms in the water & soil, up to plants, animals, & humans. What this basically means is slow death for those who wish to remain in the basin. 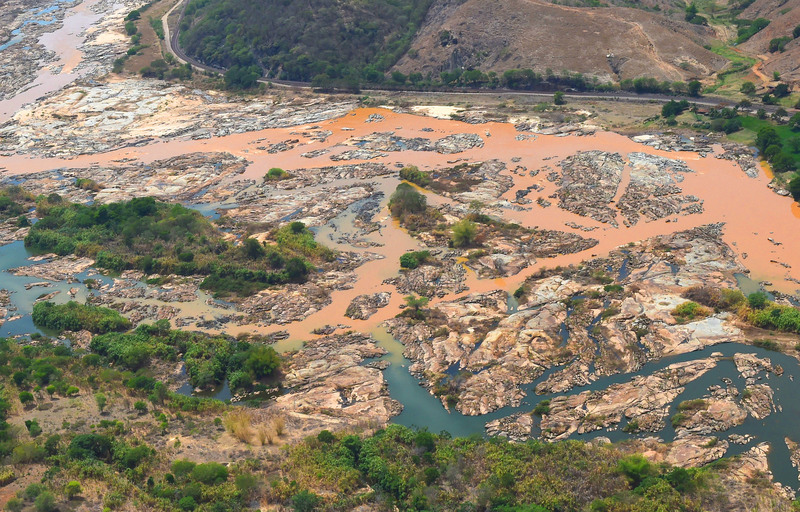 The events surrounding the installation & detonation of this Weapon of Mass Destruction (WMD) in southeastern Brazil were consistent with those that occurred at Mount Polley in British Columbia. In August of 2014 the Mount Polley mine pool burst near the town of Likely, polluting lakes & rivers in Secwepemc Nation with hazardous chemicals. I'm certain this WMD in was detonated with the complicity of the provincial government. 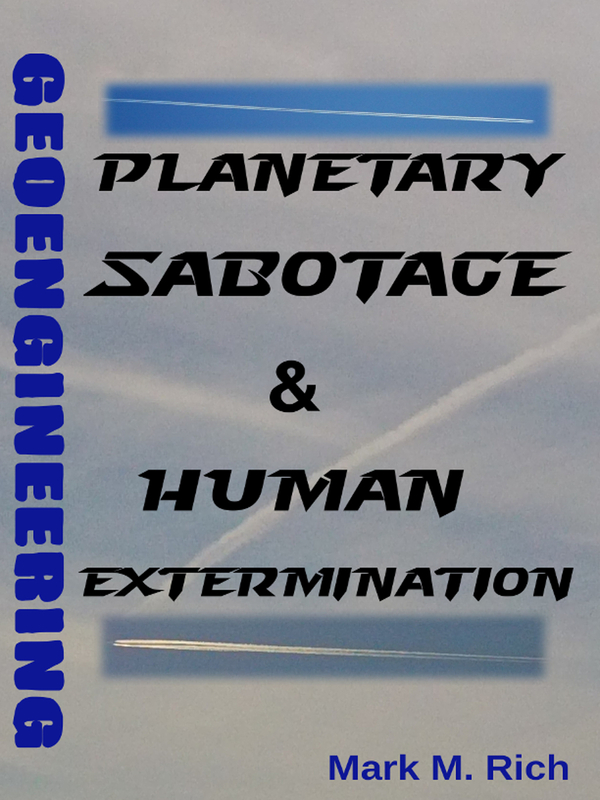 In both staged disasters the tailings ponds were placed in vulnerable & unstable areas, & the dam walls were continually raised to accommodate more toxic waste. It appears site selection & weapon buildup are important factors to maximize the impact. Imperial Metals & Samarco made considerable donations to major political parties in both countries. Due to corporate financial ties, British Columbian & Brazilian governments were pressured to accept the diluted licensing & environmental standards of the industry's inspectors. Both governments quickened the review & approval process, & relaxed regulatory standards for the mining corporations. 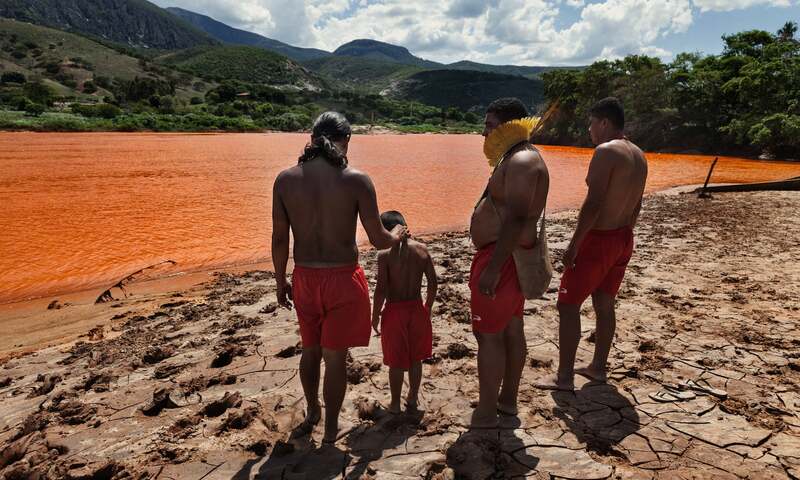 Both governments issued multiple warnings before the disasters that were ignored by the mining companies. Both governments allowed the companies to continue operations, despite warnings. 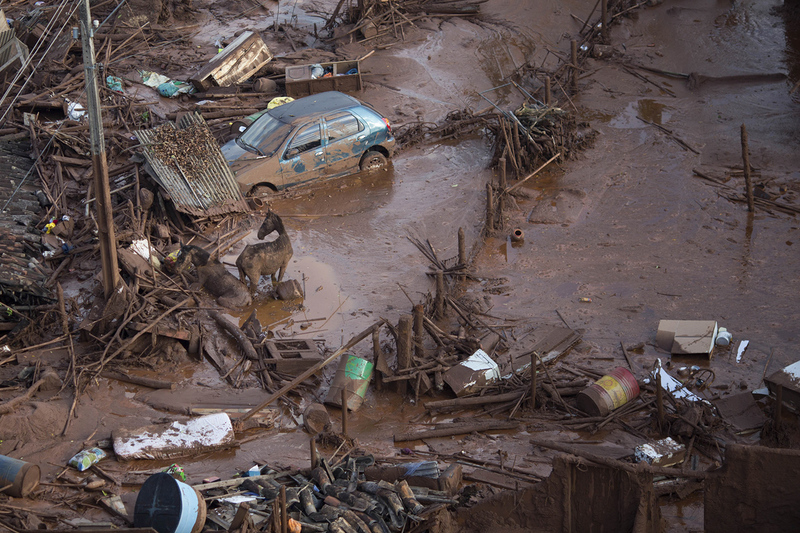 Imperial Metals & Samarco had no financial reserves in case of a disaster. Both mining companies made no emergency evacuation plans. Both catastrophes were enormous, with 15.8 & 2.5 billion gallons of toxic waste, in Brazil & British Columbia, respectively. 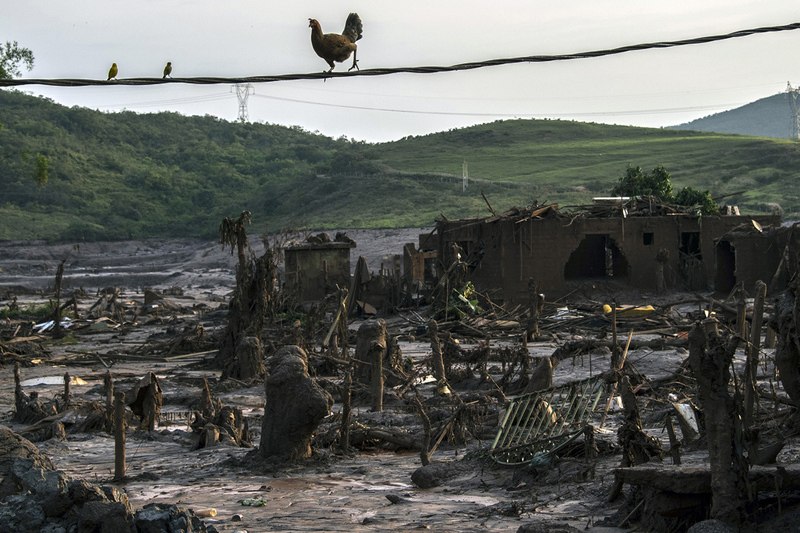 The disasters significantly impacted predominantly indigenous territories in both countries. Both governments downplayed the damage. The food & water supplies of both indigenous populations were severed. 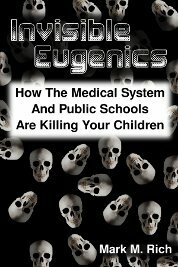 The targeted people in both countries were affected environmentally, biologically, spiritually, psychologically, culturally, & economically. Independent reports of these disasters describe them as crimes. 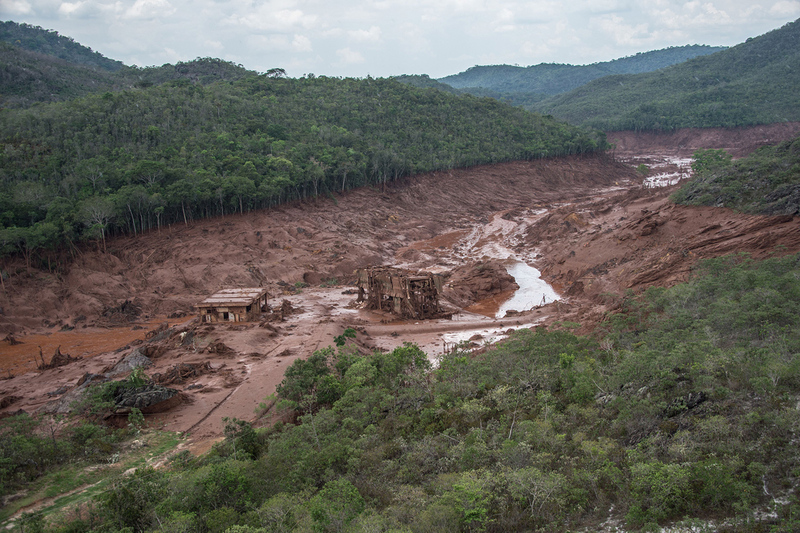 The Samarco-commissioned panel that investigated the Fundão tailings dam failure attributed it to a design flaw & small earthquakes. (*) Chair of the panel, Norbert Morgenstern, also investigated the cause of the Mount Polley tailings dam failure, that was also blamed on a design flaw. The Brazilian mining corporation Samarco Mineração SA, that operated the mine, is owned by Vale SA & Broken Hill Proprietary (BHP) company. BHP (BBL) is a multinational mining company based in Melbourne, Australia. Among its top 15 institutional shareholders we find Goldman Sachs, Bank of America, & Fidelity. (*) Vale's top 15 institutional shareholders include: JPMorgan Chase, Vanguard Group, Capital Research, & BlackRock. 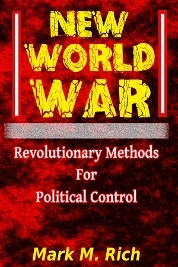 Goldman Sachs, Bank of America, Fidelity, JPMorgan Chase, & BlackRock are the primary institutions bankrolling the ecological WMDs that are being installed & detonated worldwide. 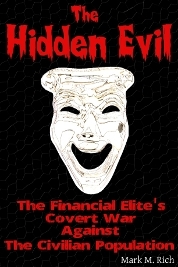 The criminals that run these institutions have the complicity of the host nation during their murderous & ecocidal unconventional warfare (UW) campaigns. JP Morgan Chase is dominated by the Vanguard Group & BlackRock. (*) The Rothschilds have mega shares in Vanguard, says a freelance report. The family also exerts control over BlackRock, along with Bilderberg members Warren Buffett & billionaire George Soros. * A faction of the Brazillian government appears to be making an effort to bring at least some of the crooks on the outer sphere of this delinquent cartel to justice. * The small localized earthquakes could have been caused by an ionospheric heater or some other directed-energy weapon (DEW). * Goldman Sachs was also involved in the WMD that was detonated in the Gulf of Mexico in April of 2010, at the direction of the Rothschilds & European royalty. Warren Buffett & George Soros profited from this act of terrorism. * According to AmazonWatch BlackRock is paying for the demolition of the Amazon. Along with Bank of America & Wells Fargo, BlackRock is funding & the Bayou Bridge Pipeline (BBP), that I have determined to be another WMD.